Hi everyone, I'm over on the Sunny Studio Stamps blog today using the new Critter Campout stamp set along with Fancy Frames Rectangles dies to create a postcard inspired card. 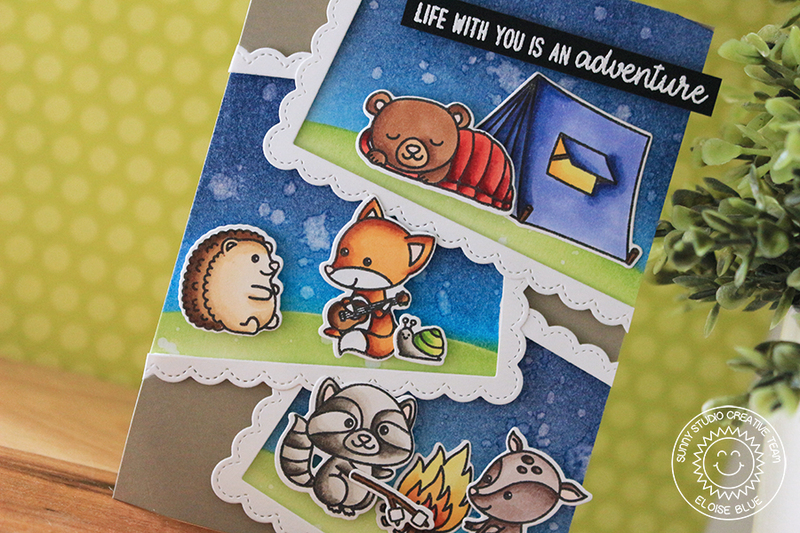 Head over to the blog to see how I made this card. Thanks for stopping by, I hope you were inspired and I'll catch you next time. Such a fun idea with the frames and creating three separate scenes! LOVE this!